Home » Administrators Page » TPT: Love it or hate it? TPT: Love it or hate it? Reading the article I can clearly understand Mr. Gomez’ point of view. #1 Of course teachers are trying to sell things that work in their classroom. Teachers and therapists have been doing this for years. It was just a lot harder to do and they did it through the larger publishing companies. You have to look at TPT as a self publishing company. Over the course of 30 years I have purchased (at great expense) lots of books and materials from educational publishing companies that never went through trials, had data collected, was tested out or demonstrated. At least with TPT if I buy something that doesn’t work, I’ve only lost a few dollars (well maybe a more than a few with ink/paper costs). I agree that the PDF format makes it difficult to customize to totally meet the needs of a class but I’ve experienced that with lots of materials over the years. This is where your creativity should come in. Still working with materials in a PDF format is still easier to modify (the activity not the materials) than, the computer program that basically gives the kids the answers if they can figure out where to click or any of a number of applications that tout to be educational. I guess my point is there are limitations with all materials. I look for materials and Apps that fit the specific needs of my students and never buy anything just because it is cute or fun. I thoroughly look through the materials to see if it even comes close to fitting my needs. I also continue to use some materials that are over 20 years old. Why….because they are the best at targeting the specific skill I’m working on. As an SLP I can get away with old and tattered. #2 TPT my be fostering the “laminating culture” but they didn’t create it. We’ve been laminating for years. Common Core is making teachers turn to sites like TPT for help. Schools with good curriculums have had to throw out those curriculums and materials. Most don’t have the funds or even the understanding to supply common core and teachers are trying to do the best they can. Many are worried about losing their jobs if common core isn’t followed or if their students don’t score well on a test. If the people who commented on Mr. Gomez’ site put their efforts into advocating for education instead of being miffed over comments about TPT imagine what could happen. #3 I did cute when I was younger. My personality has changed, my workload has grown and for me there just isn’t time for cute. Even some of the school wide cutesy stuff bothers me (why do we need pajama day?). I haven’t given away a sticker in years. Kids do like to have fun and I try to foster that through hands on activities, laughing, joking and conversation, all while staying focused on my goals/student needs. I totally agree with Matt that real images and hands on materials are much more valuable than cutesy images that are basically charactitures of themselves. Learning while experiencing “real” things/situations/theories/ideas always works out better. #5 Other than tutoring (usually for a lot less than teacher pay), most teachers have few other ways to supplement their income. SLPs often give discounts for private services when insurance cannot be accessed. Even then insurance and especially medicaid/medicare, often doesn’t even come close to an expected hourly rate for speech therapy. Why shouldn’t individuals try and market their ideas. TPT just makes it easy. 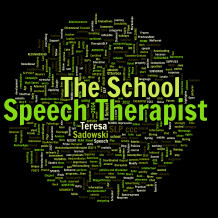 Speech Language Pathologists create or customize just about every bit of material they use to fit the needs of specific students. If I’ve created something that works well for me, maybe it will work for others. You never know where that one great idea is going to come from. #6 Sharing ideas and material is wonderful. There is just no reason to reinvent the wheel every time a new subject, theory, curriculum or flavor of the day pops up. TPT is a time saver and I imagine sometimes a life saver. If you’re not a graphics wiz it’s the place to go. Basically I like TPT and I like what it does to create business opportunities for educators. I have a few items on TPT, primarily articles suitable for a school newsletter and one killer packet of workshop materials for paraprofessionals on Speech and Language development. I doubt I’ve made 100 bucks in the three years I’ve been with TPT. I’ve purchased about 35 items on TPT and use about 10 consistently. That’s probably a higher percentage than with my purchase and used of very expensive traditional materials. 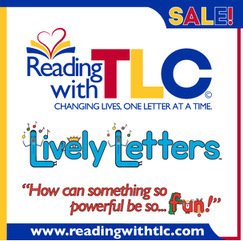 Use TPT products to supplement an activity or reinforce a skill not as a total lesson. Look through the material, make sure it is something that comes very close to fitting your students specific needs. Will your students like it? Can you use it in different ways and with different levels? This is wise advice. As for item #4, I did find a ‘program’ that works for me (with slight adaptation for my school’s needs). That program was called “Speech Club” from Super Power Speech on TpT, and I’ve had good luck getting articulation carryover from it, and was able to dismiss several students after using this. I agree, though, that it is easy to over-do it and buy things that never get used. I’m going to check out Speech Club right now. Thanks for taking the time to comment. I agree with you on TPT and how to use the resources. I have a store and I to have not sold much. I do love what teachers create and when I buy I always make adjustments depending on my student’s needs.